Marvel Studios’ latest epic, Guardians of the Galaxy, soared into theaters last night, expanding the Marvel Cinematic Universe and delivering what some critics view as the best chapter in the comic-book saga. 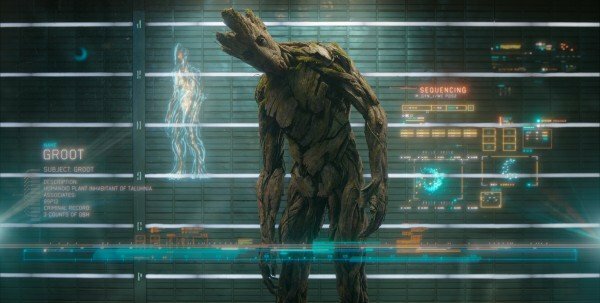 Audiences got to meet Star-Lord (Chris Pratt), Gamora (Zoe Saldana), Rocket Raccoon (Bradley Cooper), Drax (Dave Bautista) and the tree hero, Groot (Vin Diesel). But did the movie live up to your lofty expectations? As the title indicates, what follows is a discussion of Guardians of the Galaxy, with spoilers. Feel free to go absolutely crazy in the comment section ranting and raving about the smallest details and biggest plot points of the entire movie. If you haven’t seen the film yet, do yourself a favor and bail on this article. Then go see Guardians of the Galaxy and return to this exact story immediately afterwards. Are you excited for the already announced sequel? Marvel gave James Gunn a huge vote of confidence by revealing a release date for Guardians of the Galaxy 2. What would you like to see happen in the sequel? Should there be a Guardians/Avengers crossover? Rumors say this could happen in The Avengers 3. Is that too many characters? What about The Infinity Stones? That was a major piece of information dropped in the middle of the Guardians story. Were you surprised to learn more about Thanos’ end game? How many stars would you give Guardians of the Galaxy? 1 star ... so disappointing. 5 stars ... so perfect!